Round-shaped tail light, EC marked. Includes license plate light, tail light and brake light. Supplied with wiring to connect to the original loom. Round LED lamp, EC marked. 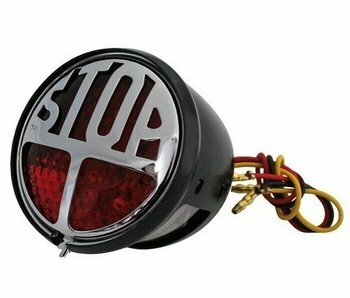 Includes license plate light, tail light and brake light. Oval-shaped tail light, EC marked. Includes license plate light, tail light and brake light. This little bundle is designed for your Triumph Twin and allows the installation of after-market tail-light and indicators, easily and without tools.